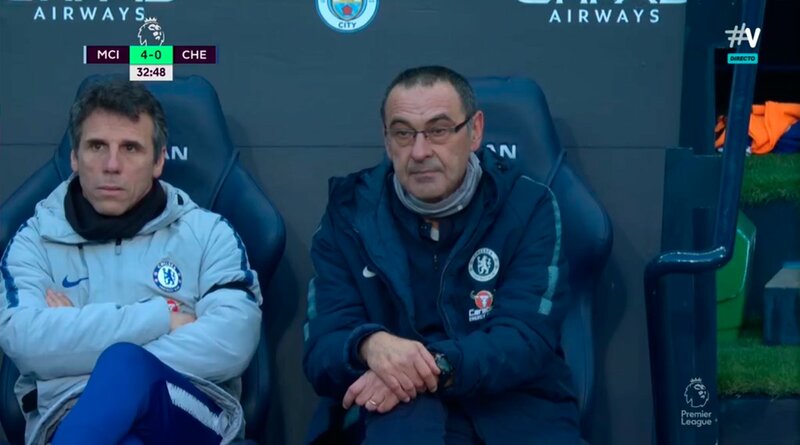 Chelsea have conceded more goals than anyone else away from home so far in 2019, and have not scored a goal themselves. This team has lurched back towards disaster after giving us a glimpse of hope against Bournemouth, and were savaged here by Manchester City, who didn’t hesitate to inflict maximum pain on us. It’s only half time but we are already breaking records for how much pain we’ve been put through, and that’s backed up by the stats from the game. It’s a true, historic massacre. 6 – Chelsea are winless in their last six Premier League away games against ‘big six’ opposition (D2 L4), losing the last four in a row. Concern.